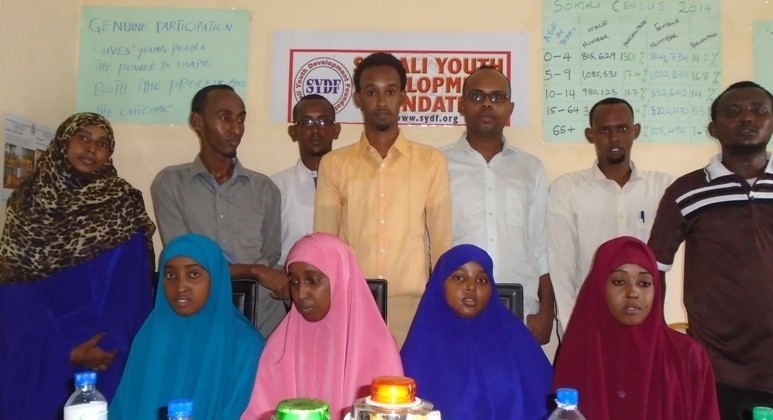 YOUTH SUSTAINABLE SKILLS AND EMPOWERMENT PROGRAMMS IN BANADIR REGION SOMALIA. Due to prevalent poverty and unemployment, over 70% of young men who represent urban drop-outs, orphans and those who migrated from countryside and/or nomadic areas fell in the hands of warring parties for small handouts provided by warring parties to reinforce their force against the other. Restoration of security, law and order is as critical as economic empowerment of the people through micro-finance and technical trainings in South-central Somalia. As a result of Somalia’s over two decades year old conflict, and since the country has not yet witnessed any meaningful political stability or economic development, the unemployment situation in Somalia is heart-wrenching. The lack of viable education and employment opportunities has created a high level of frustration and discontentment among young people. The unemployment rate for youth aged 14 to 29 is 67%- one of the highest rates in the world; women losing out more with unemployment rates at 74% compared to men at 61%1. The deplorable unemployment situation is also believed to have been contributing, immensely, to the equally bad situation of the civil strife with the existence of thousands of illiterate young men and women who have no any marketable skill, whatsoever, and who will resort to evil acts as the only means of livelihood. Mogadishu’s business and most economic sectors are now rapidly improving due to enhanced security and establishment of some form of law and order. Consequently the demand for skilled labour force is on the rise. Majority of the people including the youth do not have access to both formal and informal education nor meaningful training and experience to gain meaningful employment. This has resulted to society grappling with problems of unemployed youth who are frustrated and disillusioned hence end up joining violent militia gangs, piracy, drug trafficking and human ; Skills training will dissuade young men from joining armed groups/forces or seeking for livelihoods through violent means. Hence the project will equip the disadvantaged youth with vocational skills that will enable them earn decent income to support themselves and their families, become more resilience to income-related shocks and contribute towards poverty reduction in their communities. - To impart vocational skills to most disadvantaged youth in Banadir. - Provide business start -ups to youth who have successfully completed the training and have viable business plan. - Provide Micro credit schemes to the most marginalized youths preferably the disable groups and youths from destitute families. -600 youth (340 female and 260 male) will undergo 12 months vocational skills training. - 600 youth will benefit from apprenticeship, mentoring and job placement services. -20 youth groups comprising of Nine (9) each will be provide with Micro credit schemes. - Increased the support of the trainees with apprenticeship, mentoring and job placement services to most disadvantaged youth in Banadir. - Increased the business start -ups to youth who have successfully completed the training and have viable business plan. - increased the Micro credit schemes to the most marginalized youths preferably the disable groups and youths from destitute families. -Technical Vocational Education Training Skills: SYDF will provide skills development opportunity to 600 youths to get alternative livelihood. Skills training will be through formal vocational training centers conducted by qualified instructors hired implementing partner. The skill training will be facilitated through both theoretical and practical training sessions, which will all be facilitated at the SYDF Vocational Training Centers in house (VTC) and offers “real-world work experience” with practical training sessions at business sites and real life job shadowing opportunities. -Micro Credit Scheme - The proposed project proposal will therefore provide Micro finance schemes to the most vulnerable and underprivileged youth in Banadir. SYDF has learnt that providing alternative livelihood to young boys and girls can contribute greatly in reducing and preventing Somali youth engagement in conflict and political interferences. Therefore SYDF appeals for Youth development program so as to strength their skills capacity and enhancing resilience among the community. Gaining skills and professional training such as small income generations will enable them to ensure sustainability of Youth development, through increasing quality and access to affordable skills training for poor youth and women, this project aims to give a concrete possibility of social and economic empowerment to the Youth and to all their families. · Be given $ 2,840 USDs refundable to SYDF after a specific period of time. This money shall be monitored by both SYDF and the existing Somali financial institution in checking the credit worthiness and feasibility of the micro-finance credit facility while enhancing accountability framework. This ensures that the group is evaluated by SYDF, the Donors, the bank and other interested parties.